Hooke's law, illustration. Experimental demonstration of Hooke's law. 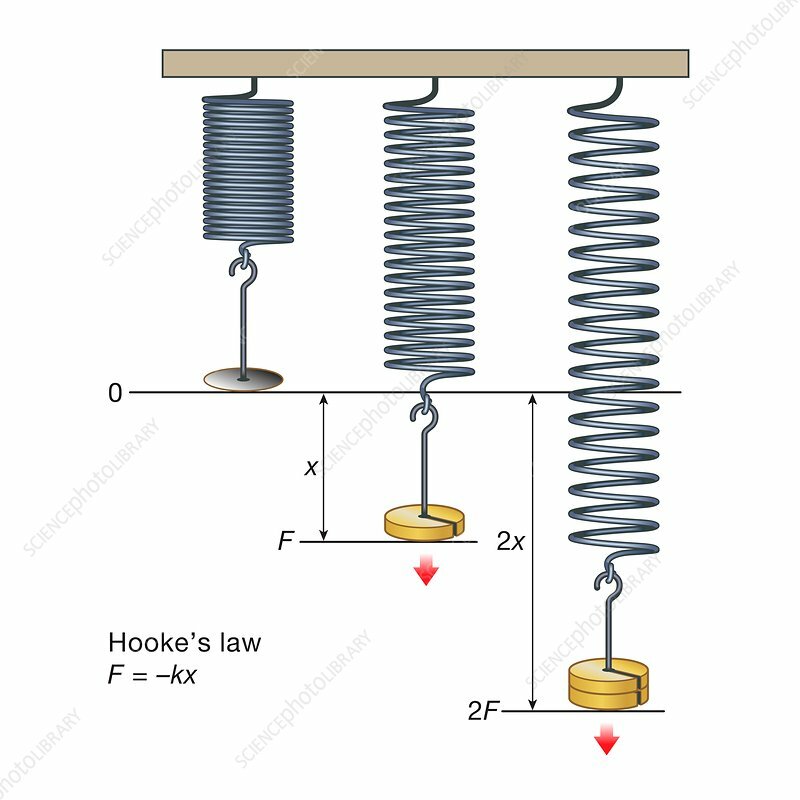 Hooke's law relates the effects on bodies of stress and strain, and states that the extension of a spring is proportional to the force applied to it, within the elastic limit. Here, the spring on the left is at its equilibrium length. In the centre, the addition of one weight produces a force (F) on the spring resulting in an extension (x). The addition of a second weight doubles the force (2F) and doubles the extension (2x).